Web designing is constantly evolving, thanks to the changing market needs. However, there are some mistakes that designers keep repeating even now which make their clients lose valuable business. Here are a few tips that web design companies must keep in mind when designing a website. Almost 50 percent of the urban population owns a smartphone and uses it to visit various shopping, messaging, social networking or blogging sites. Because mobile processing is less powerful than a laptop or desktop, the website needs to be modified sufficiently so that visitors can access it quickly. It indicates that unnecessary use of graphics, images, stylish fonts and flash videos is undesirable. For instance, if a particular website takes too long to load on a mobile, a web user may not visit it at all. 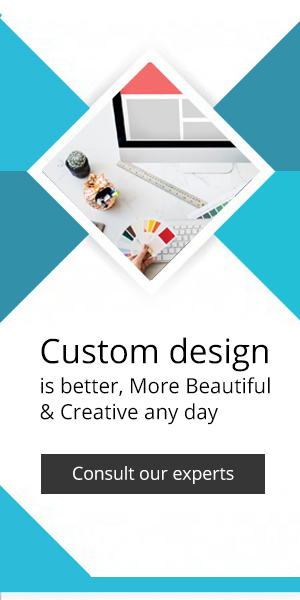 Although most custom website design has a contact form at the end, they lack a “Thank You” note to the one who is filling up or a customary message that says they would get back to them at the earliest. These kinds of messages help to build a connection between a potential customer and the website owners and lead to long-term associations. Web users have gone on record to say that they dislike flash videos right when they are accessing the website as it takes away the focus from the content of the site. Web designing companies have rectified this error somewhat by including a “Skip” or “Close” button on the video or advertisement so that those who are not interested in the website can skip it. Custom web design has come about to make sure a website maintains its individuality and can convey the core essence of its development. Usage of generic themes often mars the need to have a website as visitors are not impressed with what they see. Depending on the purpose that your website will serve, you should plan the theme, layout and content placement on the site. If these tips are kept in mind, creating a popular website would not be a problem at all.